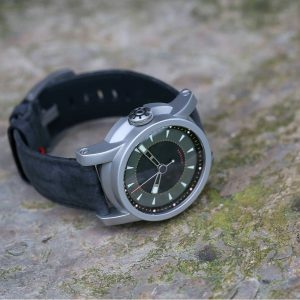 I have been very slow in picking up this British watch brand. 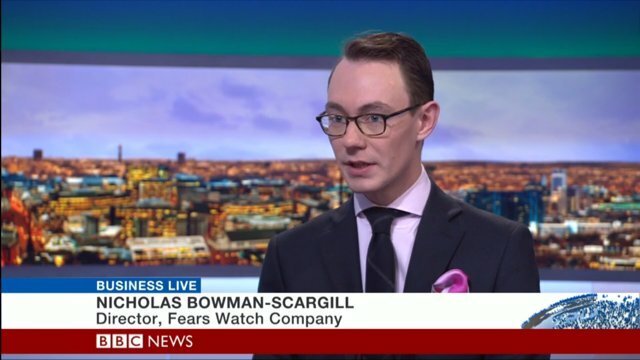 My only possible excuse is that when they launched in 2015 it was with a range of quartz watches. When I started this blog I ignored, unfairly, these companies. I have now realised that watches with quartz movements are a perfectly legitimate route to getting a brand to market. THE original collection of “net-retro styled” watches is named after British explorers, inspiring individuals who perfectly define the true spirit of Farer: daring, courageous and filled with ambition beyond the ordinary. From Amy Johnson – Britain’s most famous female aviatrix – to Everest climber, George Mallory and Tutankhamun archaeologist Howard Carter. 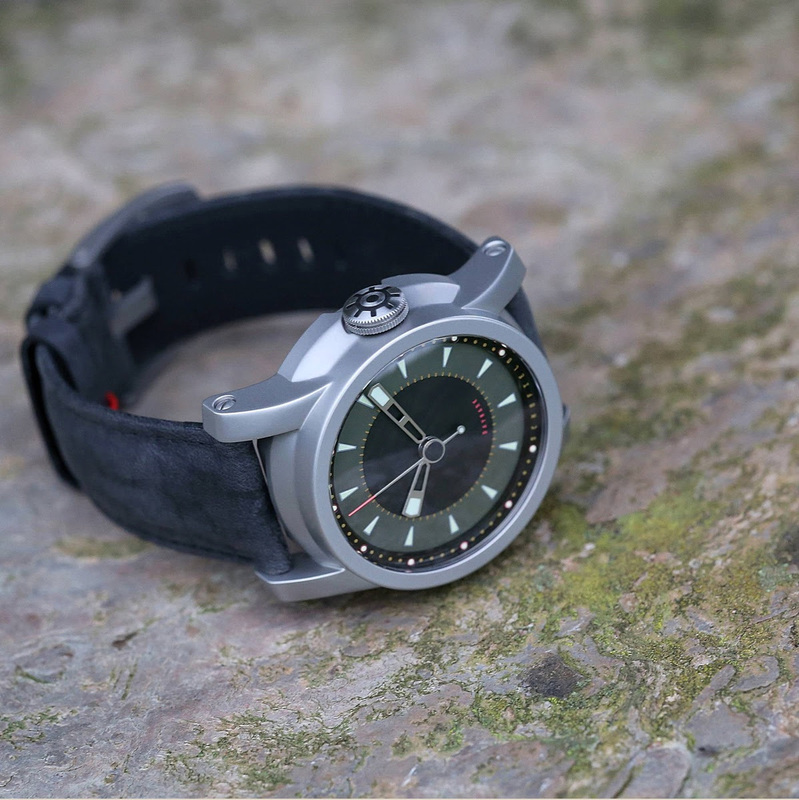 The 316L steel cases come in a fashionable 39.5mm size. With quick release straps on 20mm lugs. The movements either being Ronda 512, in the GMT models, or 600D in the watches with the sub-dial. 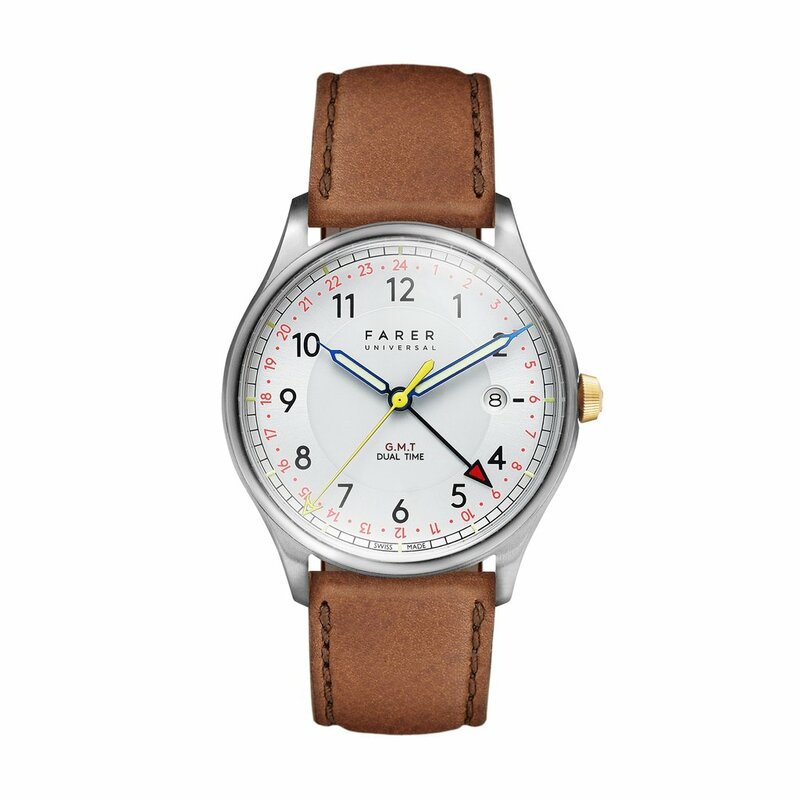 All Farer watches are designed in London and manufactured by their Swiss manufacturing partners, Roventa-Henex,. With the arrival of their Automatics at the end of last year, they have taken inspiration from the famous vessels that carried Britain’s most brilliant explorers around the globe. The first three Automatics are named Beagle, Endurance and Hopewell. The automatics use the proven ETA 2824-2 movements and are very similar in style to the original quartz range. Everything I have read so far about these watches is very complimentary. I am looking forward to getting a closer look. I thought this interview with Pier Berry of British watch brand nicely sums up many of the issues around the British watch revival. Today I found an interesting little article in the Financial Times. 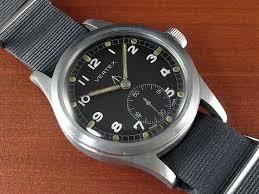 It appears the British watch brand Vertex is about to be re-launched. According to the article Don Cochrane (of Netjets) is hoping to relaunch the brand established by his great-grandfather , Claude Lyons, in 1916. The company was one of the iconic “Dirty Dozen” supplying military watches. 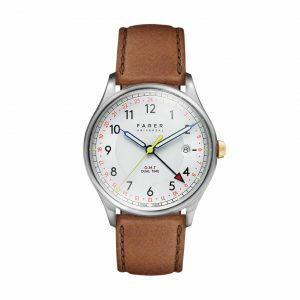 The aim is to build 60 military styled watches based on wartime models. These will be initially offered to selected people at £2500. Following the launch of their first watch the Cherwell British brand Marloe are about to launch a second model. This time a chronograph, The Lomond. They have produced this teaser video. 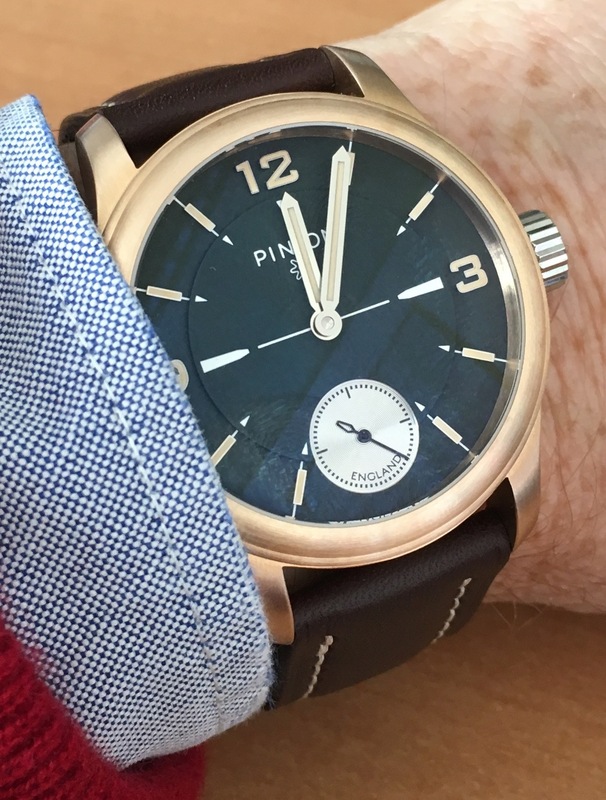 In their recent bulletin British watch brand Schofield have given more detail about their new Daymaker model, which for my taste is their best looking watch so far. I especially like the crown. These are the details they are giving currently. The Daymark costs £3600 inclusive of VAT. Pre-ordering via deposits will be taken in January. Please contact us if you would like to get on the list. My only comment is that I would have preferred a manual movement. Nicholas Bowman-Scargill from the re-launched British watch brand Fears has achieved what many people have dreamt of, he has launched his own company. 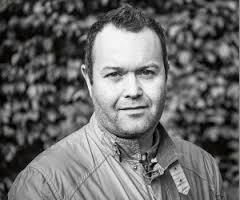 Then to help this he has done what many PR people dream of, he has been interviewed on the famously non-commercial BBC. Hats off ! 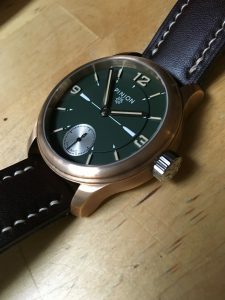 More Bronze watches are now available and one of the first questions you might ask before committing to buying one is “how does the famous bronze patina develop” ? As I took procession of my Pinion Pure Bronze the week before Christmas I thought it might be useful to post weekly updates. Despite wearing the watch every day the colour change is very gradual. I will try to make some better close-ups for next week.